China Sunsine’s 2Q18 net profit of Rmb240m above expectations. Rmb48m in tax credit contributed to the 2Q18 earnings surprise. 1H18 core net profit accounted for 62% of our previous full-year forecast. Overall ASP inched up 0.7% q-o-q to c.Rmb23,300/tonne in 2Q18; concerns raised over declining ASPs of rubber chemicals since end-Jun. Approval for new 20,000 tonne production lines yet to be obtained from authorities. Downgrade to HOLD with a lower Target Price of S$1.41 (7.7x CY19F P/E) in the absence of earnings growth going into FY19F amid normalising ASPs. China Sunsine extended its record quarterly earnings streak as 2Q18 net profit more than tripled y-o-y to Rmb240m vs. Rmb75m in 2Q17. This was mainly due to gross margin expanding to a record level of 36.7% in 2Q18, supported by high ASPs for its rubber chemical products amid stringent environmental policies in China. China Sunsine’s 2Q18 revenue gained 34% y-o-y on higher ASPs and better sales volume. An unexpected tax credit of Rmb48m lifted 2Q18 earnings. This was due to Sunsine’s subsidiary obtaining “High-tech Enterprise” status on 28 Dec 2017, which entitled the group to a concessionary tax rate of 15% with effect from 1 Jan 2017 instead of 2018 after clarifications with the authorities. Excluding exceptional tax credit, net profit would have been Rmb192m – still a record high quarterly profit. While rubber accelerators (RAs) still in a tight supply situation in China, prices of RAs are coming off since end-Jun, allegedly due to slowing downstream demand for tyres and possibly for the non-tyre rubber products as well. China’s total tyre output in 6M18 was 435.7m pieces, representing a mere 0.3% y-o-y increase and according to an industry news source on rubber tyres in China, production has reportedly stagnated for many large tyre enterprises in Shandong province amid an overcapacity situation. China Sunsine is still awaiting approval from relevant authorities to start trial run of its new production lines in Shanxian and Dingtao -- 10,000 tonnes of TBBS RAs and 10,000 tonnes of insoluble sulphur, respectively; management had expected to obtain approval by end-2Q18. The added capacity could provide sales volume growth of up to c.13% as Sunsine’s RA and insoluble sulphur production facilities are already running at around 100% utilisation. 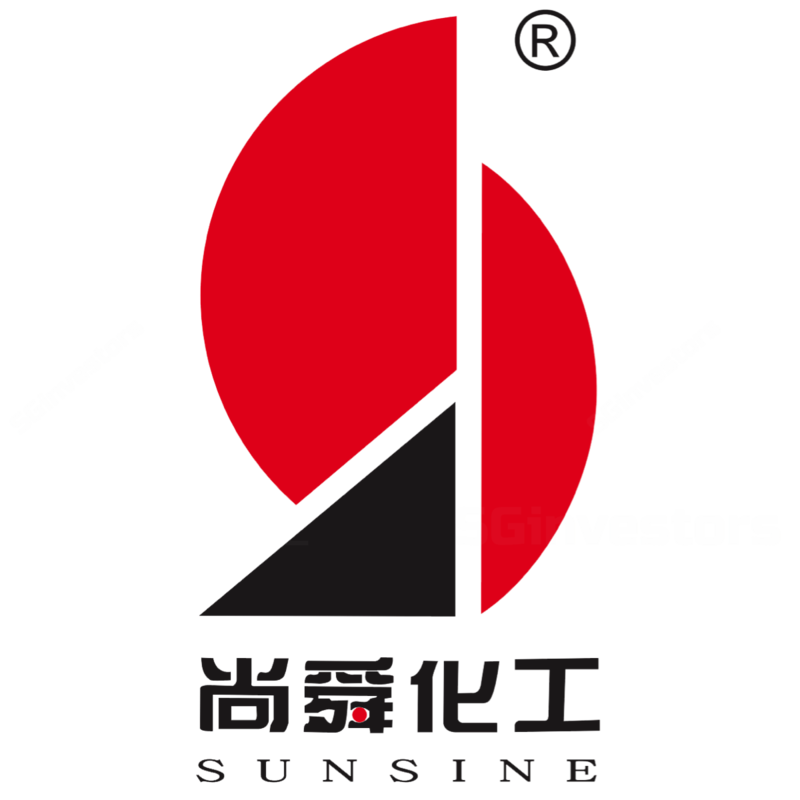 China Sunsine remains in a net cash position (Rmb566m cash) with zero borrowings. Based on past indication from management that it would reserve cash for future expansion and as a buffer against any shock from potential economic downturns, the prospects of special dividends would be dim, in our view. Despite supernormal 2Q18 earnings, we lower our Target Price to S$1.41, now based on CY19F P/E of 7.7x (previously 9.8x), a 35% discount to its rubber chemical peers in the absence of earnings growth going into FY19F to tighten the valuation gap amid normalising ASPs. We downgrade our call to HOLD, following a 43% rally in China Sunsine’s share price since Jan. We revise our FY18-20F core EPS by -0.5% to 5.3% to reflect stronger-than-expected 2Q18 results and delay in its capacity expansion. Key upside risks include recovery in ASPs in China. Downside risks include lower sales volume output.